This product #525 is available to be shipped to all countries in the world, (including Alaska and Hawaii), except the 48 contiguous states of the USA and Canada. 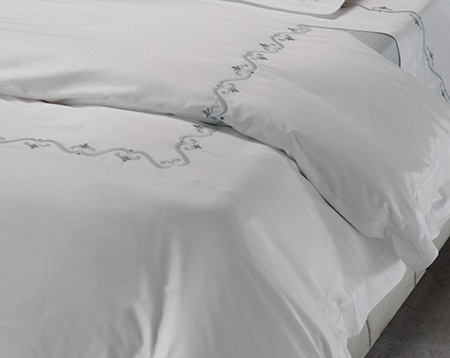 Product #515 is only available to be shipped to the 48 contiguous states of the USA and Canada. Please choose the correct product number depending on your location. We wish to avoid any unnecessary administrative and credit card reversal entries. Thank you for your cooperation. 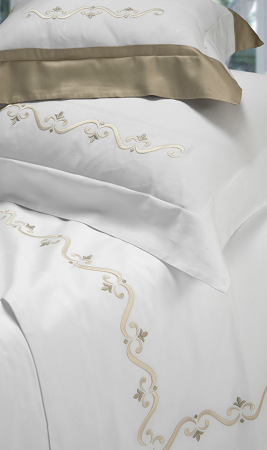 Monte Carlo - Plumes of the most lush and exquisite stitching decorate our soft Italian Egyptian cotton sateen, scripted like an ode to the Art Montecarlo movement. 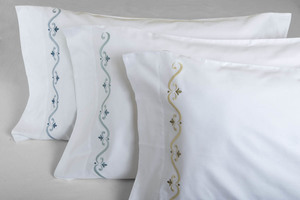 With a thread count of 400 TC is one of our most popular embroideries. 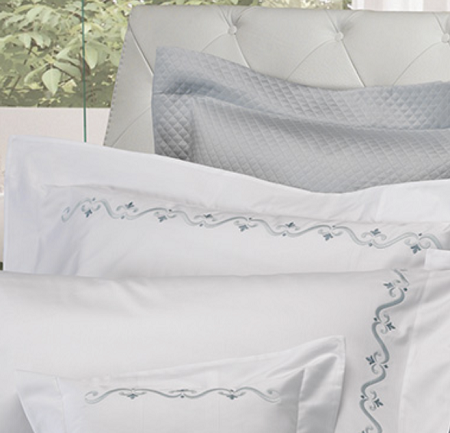 We've added duvet covers, sheets, shams and pillowcase. 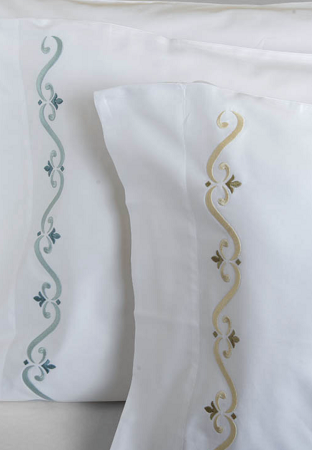 Available in 3 colors: Sand, Light Green, Light Blue. 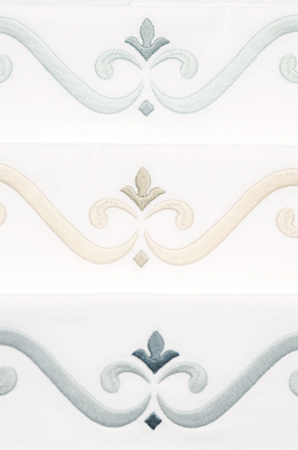 You have the option to order matching color Boudoir Shams at this time if you have the appropriate pillows to fit these shams. Click on your choices at the drop down and check off boxes.